Mary Fulbrook is the daughter of a German Christian woman “of Jewish descent” who fled to the United States shortly after the Nazis took power. One of her mother’s closest girlhood friends was Alexandra, who married Udo Klausa. Klausa was the Landrat, or administrator, of a small city in occupied Upper Silesia named Bedzin. After WWII, Mary’s mother and Alexandra resumed their friendship and Alexandra became Mary’s godmother. 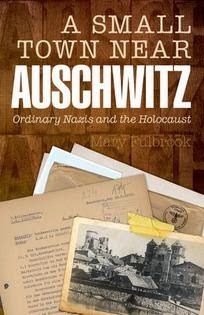 Thus, Mary was acquainted with Udo Klausa, who is the central figure of A Small Town Near Auschwitz: Ordinary Nazis and the Holocaust (published in 2012 by Oxford University Press). 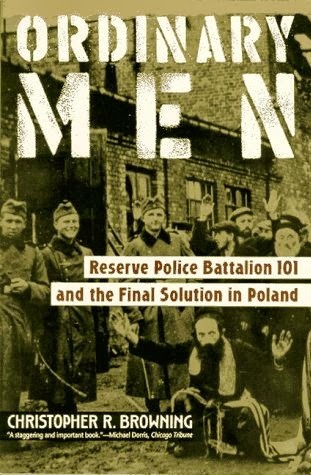 From A Small Town we learn a fair amount about Udo Klausa’s job and his interactions with his superiors who were in charge of formulating regional anti-Jewish policies—including stripping Jews of their property and employment, banishing them from public spaces (except when a few Jews were executed and thousands others forced to watch), concentrating them into ghettoes, deporting them to labor camps and eventually to the conveniently close extermination camp of Auschwitz. We also learn how Udo Klausa interacted with his subordinates, including the local gendarmerie that helped the actual Nazi Storm Troopers. Klausa faithfully participated in the anti-Jewish policies, which he seemed to regard as ordinary administrative matters. He appeared completely oblivious to the roundups, executions, murders, and tortures that were frequent and highly visible actions against the town’s Jewish population. Fulbrook also shows us how “innocent” bystander Germans were collaborators. Alexandra Klausa held no official position: she was merely the wife of the Landrat, happy to have found reasonable accommodation for herself, her husband and their baby in the villa of a deported Jew. Alexandra’s letters show that she witnessed roundups of Jews, which occurred just across the street from where she lived. She wrote to her mother about some of the inconveniences of the roundups: she couldn’t get her shoes repaired any more, and the vegetable market had closed down. She and Udo tried unsuccessfully to protect “their” Jew—their gardener and janitor—and his family. Granted, letters were censored and it would have been difficult for her to write her mother about the horrors she witnessed. Yet she seemed indifferent to them, as long as they did not affect her day-to-day life as a wife and mother. She did worry a lot about Udo’s “nerves” which in a charitable interpretation of his reactions to the persecution of the Jews might have indicated that he was uneasy about certain activities in which he was implicated. After the war, Klausa evaded punishment—eventually becoming a Landrat again in democratic West Germany—and wrote a memoir in which he claimed that he was not present in Bedzin for some of the worst “actions” against the Jews. But Fulbrook shows that he was. 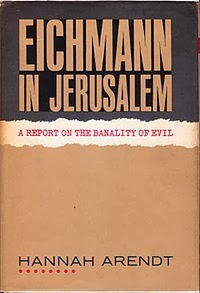 The German-Jewish philosopher Hannah Arendt published Eichmann in Jerusalem in 1963 after she had witnessed the trial of Adolf Eichmann in Israel. Eichmann was one of the bureaucrats who organized the train system that took Jews to the extermination camps. Film footage of the trial shows him as a fairly ordinary, unprepossessing man, not a raving lunatic such as one might have imagined senior Nazi officials were (and as Hitler appears, to modern eyes, in footage of his speeches). To describe Eichmann’s role, Arendt coined the term, “banality of evil:” Eichmann was an evil, yet banal, person. Other works have also shown how “ordinary” were members of the Nazi killing machine. For example, Christopher R. Browning in Ordinary Men: Reserve Police Battalion 101 and the Final Solution in Poland (HarperCollins, 1992) shows how ordinary German men, too old for the military, were converted into killers of Jews. Mary Fulbrook shows us the others side of this ordinariness. She personalizes the Jews of Bedzin. She uses diaries and memories of survivors. She recounts the day to day fear of every Jew in Bedzin, not knowing when she or he might be picked up and deported. She relates in detail the malnourishment each Jew endures. She tells us exactly what it feels like to be a fearful hidden child. She details the murders of women and children. She refuses to let her readers distance themselves from Udo Klausa’s victims. In some senses, we are all collaborators. Most of us go about our daily lives perhaps conscious of injustices and suffering, both at home and abroad, but unwilling to devote more than a few hours a week or a small percentage of our resources to trying to alleviate it. Fulbrook writes of Alexandra and Udo Klausa that they “acted in ways that were predicated on ‘not seeing’ how people were affected, ‘not knowing’ what the outcomes of their actions really were” (p. 8). But even if we do see and we do know, it is usually easier to put what we see and know aside. This is what the Klausas did, and what almost all of us do.